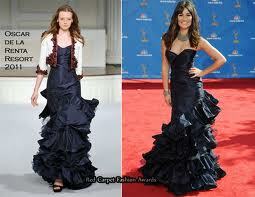 Fancy looking like Lea Michele in her stunning Oscar De La Renta Gown at your next big event? Well, unfortunately this designer dress will probably set you back a few thousand pounds which is a deposit on a car!! So use your head and contact Belle Dress Hire for an appointment to try on this fabulous dress which comes from Paris. For just £70 hire fee you can echo Lea’s designer style …. Face of NI Finalist, Lisa Coulter. Photo kindly supplied by Image 31 Photography. My fabulous customer, Lisa Coulter chose this dress to wear for the Evening Wear round of the 2013 Face of Northern Ireland competition, which was recently held in the Canal Court Hotel, Newry. The shape and silhouette of this dress is exactly the same as Lea Michele’s designer frock right down to the layered skirt. Granted the colour is not a definite match as the Belle Dress Hire gown is more of a green with navy blue tones than a solid navy block colour but we’re talking a price difference of thousands here ladies!!! Lisa has teamed the dress with a beautiful beaded necklace but you could also wear very long, heavy ear rings instead of a necklace. This dress at Belle Dress Hire is a personal favourite of mine. It is so well shaped and looks chic, elegant and what I love most is the fact that it’s different to the more typical slinky evening gowns that the majority of ladies wear. 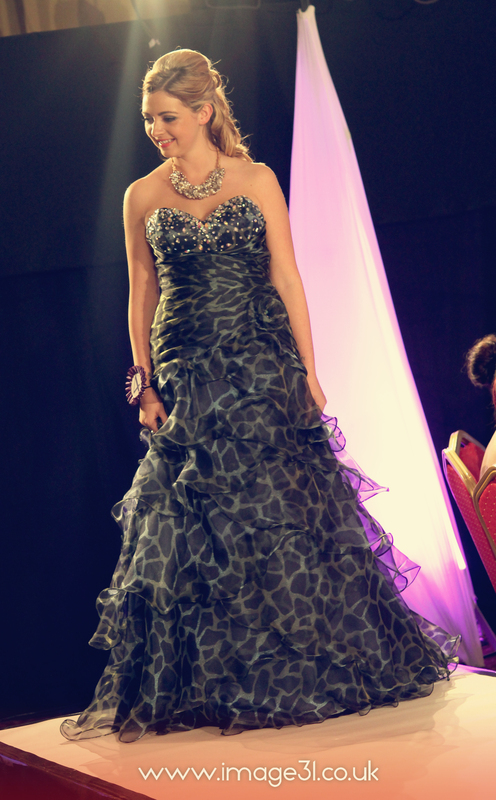 This dress is available to hire in a size 6/8. Many thanks again to Lisa for choosing Belle Dress Hire and also to Image 31 Photography.